Physiotherapist, researcher & lecturer in sports injury rehabilitation. Exercise rehabilitation is at the core of any physiotherapy practice. The goal of any rehabilitation is to restore function to the greatest degree in the shortest time, helping people return to their function with minimal risk of re-injury. 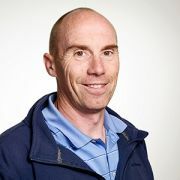 In this course Lee Herrington provides a deep understanding of the principles of exercise rehabilitation and how to incorporate these principles into developing rehabilitation programmes appropriate for the individual. This course initially explores the key principles of exercise rehabilitation in relation to the physical stress theory, effects of loading, mobility and rigidity and the influence of pain. These are then discussed in relation to rehabilitation considerations which will ultimately enable us to understand loading in relation to the tissue and the individuals needs, and apply a series of loading experiences to an individual to achieve intended outcomes. Develop knowledge of the principles of exercise rehabilitation and how to incorporate these principles into developing rehabilitation programmes appropriate for any client. Hours of Learning - No deadlines are applied to this course and it can be started and completed in your own time according to your personal schedule. We expect the required elements to take around 1.5 - 2 hours depending on your schedule and learning style. Additionally there are many optional resources provided and if you choose to review these the course could take longer to complete.